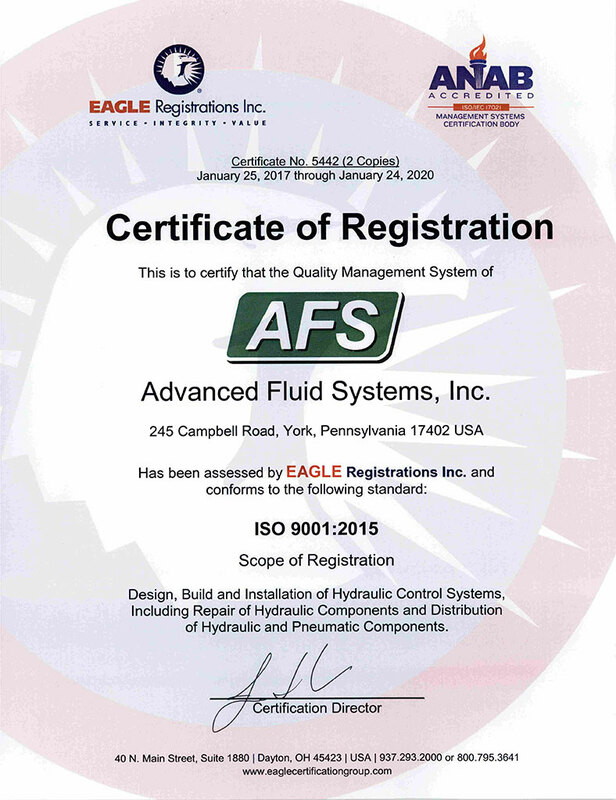 Advanced Fluid Systems is proud to announce that we are now ISO 9001:2015 certified. 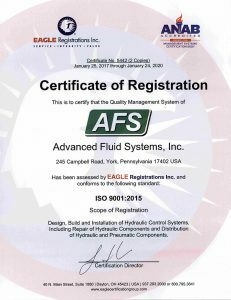 To become ISO 9001:2015 certified, Advanced Fluid Systems underwent an evaluation process that included: quality management system development, a management system documentation review, pre-audit, initial assessment, and clearance of non-conformances, all of which work to identify corrective actions that eliminate non-conformance to the quality management standard. Advanced Fluid Systems’ decision to become ISO 9001:2015 certified is a proactive one that not only anticipates the demands of our customers, but also demonstrates our commitment to providing quality products and services.